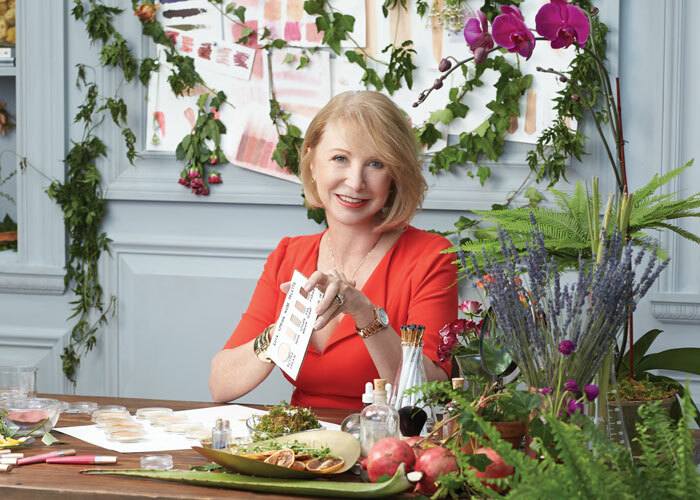 When we say “Jane Iredale” we’re talking about the woman behind the eponymous mineral cosmetics and healthy skincare line beloved by many in the international beauty community — green, conventional, people who love great products. Today, you get both: Jane Iredale, the president and founder of Iredale Mineral Cosmetics, and her favorite products from her mineral makeup line, jane iredale. And, of course, a lot of other health, beauty and lifestyle goodies in between that she’s sharing. As usual, I’ve starred the items I also use and love. It’s my favorite boutique, right on Main Street in my town of Great Barrington. The store was opened by Melissa Bigarel and the clothes are wearable, affordable, feminine and fun. I’m especially excited because we’re collaborating to open a new flagship store together this month, a first-of-its-kind for our brand. It will offer a mix of makeup and fashion to help every woman feel her best, so now you can buy the perfect lip shade to go with your beautiful blouse. I want to enjoy the outdoors without feeling guilty about the sun damaging my skin, so this is my must-have product. It has SPF 20 in it and is a foundation and concealer at the same time. I put it on in the morning and forget about it. I started keeping my own bees! They are the happiest bees alive, foraging on flowers, veggies and fruit right outside their hive. We jar the honey as gifts. I love fashion and color, so I’m always looking for ways to bring a fresh look to our products. After a walk in the garden, it’s so much fun to bring out color swatches and see what I can match. I’m currently having fun with our Just Kissed Lip and Cheek Stain. The color self-adjusts to each wearer, and I’m observing how it translates beautifully across multiple skin tones. I was born and raised in England. My mum’s favorite question was, “Cup of tea?” There’s nothing like a cuppa on my porch watching the birds in the fountain. I almost always have a glass of wine at dinner: Rosé in the summer, Pinot Noir in the winter. I’m crazy about lavender. I grow it, dry it, have lavender aromatherapy by my bed. I even stuff chicken with it. Because of the constant washing and sun exposure, our hands show our age long before our face does. I like to keep HandDrink at my desk and apply it as often as I can remember, which ought to be more! I started a paleo diet in February and keep “Paleo Cure” in the kitchen for inspiration. I like to cook, so I’m finding new, interesting ways of doing old favorites. For example, blueberry pancakes without flour. It’s amazing what you can do.